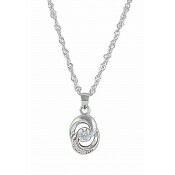 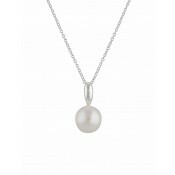 Stunning Linked Oval Freshwater Pearl Silver Pendant Necklace from The Opal. 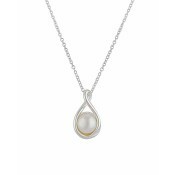 The design features a freshwater pearl sitting in a sterling silver oval ring interlinked at the top with a smaller silver oval encrusted in cubic zirconia. 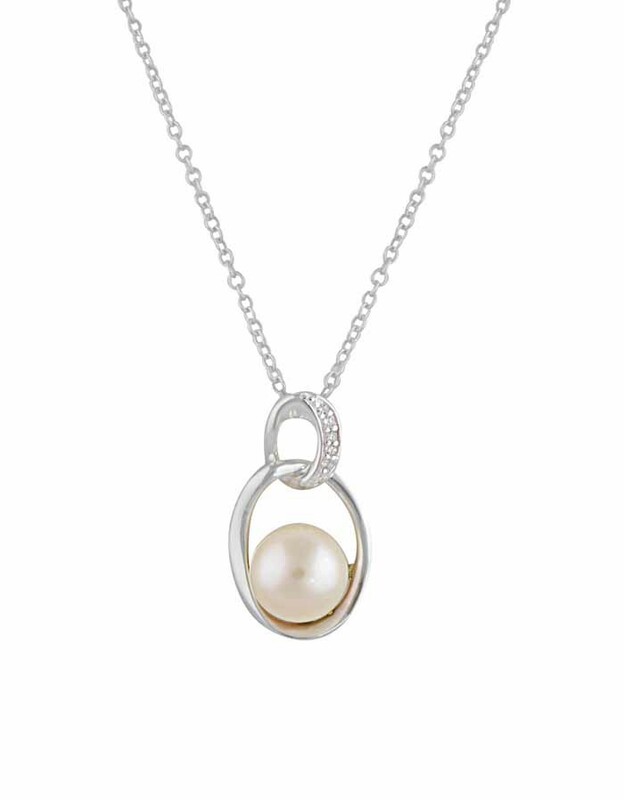 This pendant comes with a matching sterling silver chain and gives you a more modern take on the classic combination of pearls, silver and sparkle. 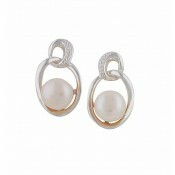 Team with the matching linked oval pearl earrings for the complete look.